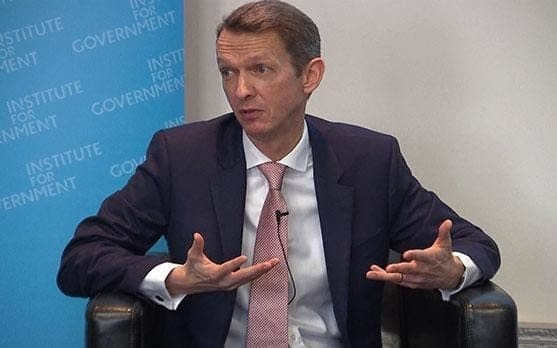 The last ten years represent a “lost decade for productivity in the UK,” according to the Bank of England’s chief economist Andy Haldane. Speaking in conversation with the chair of the Institute for Government, Bronwen Maddox, Haldane covered a broad range of economic themes, including AI, business management and central banking perception. However, a blurry comprehension of the impact of QE remains. Haldane referenced the bank’s “understanding problem” and the perception of inequality that pervades in society following the financial crash and the extraordinary coping methods of money printing which, on the surface at least, appear to not to have aided those in the economy’s lower echelons. In defence of QE, Haldane said unemployment rates would still be at 8% and 1.5 million jobs would not have been created without it. “If I could send you a personalised score card of how the loosening of monetary policy over the last 10 years affected your income, your employment and your happiness… I could tell you how much happier the Bank of England have made you.” But Haldane conceded good communication of where and how money was being spent was lacking. However, Haldane did extend the slowdown to other economies and to an overall ongoing productivity drop in effect since the 1990s. In the UK he picked out a disparity in management skills, as the reason for repeated poor growth figures. This has led to “superstar” companies which have become global leaders and a distinctly unlean middle tier of poorly led companies and management creating a “significant impediment” to discovering how they could remedy their unproductivity. By contrast he complimented company boards diverse in experience and the digital infrastructure of some firms who could digitally clone themselves in order to test business models.